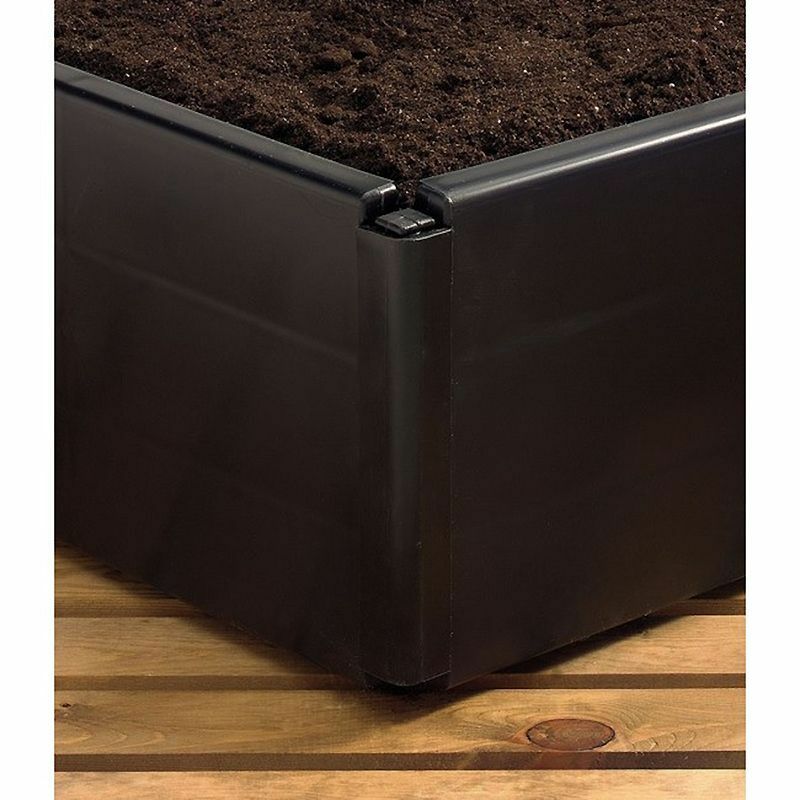 Made from durable black plastic, this raised bed could help to improve your growing results! Bigger, better vegetables – faster than before! 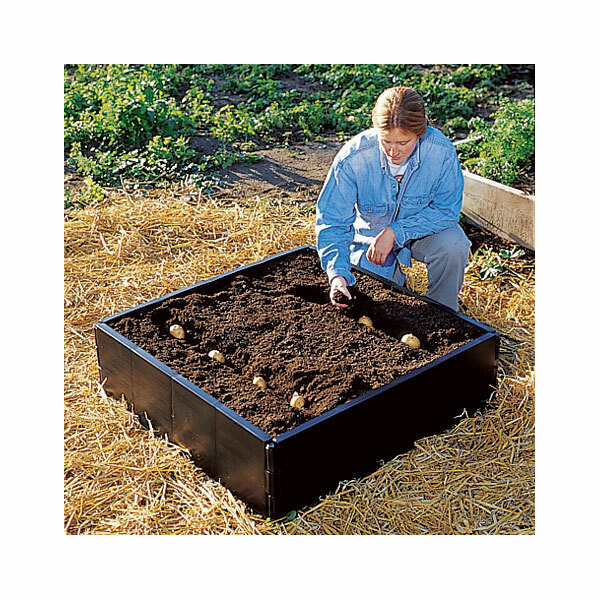 Simple and quick to assemble, this raised bed can dramatically improve results when growing potatoes and other vegetables due to the high heat absorption during spring. 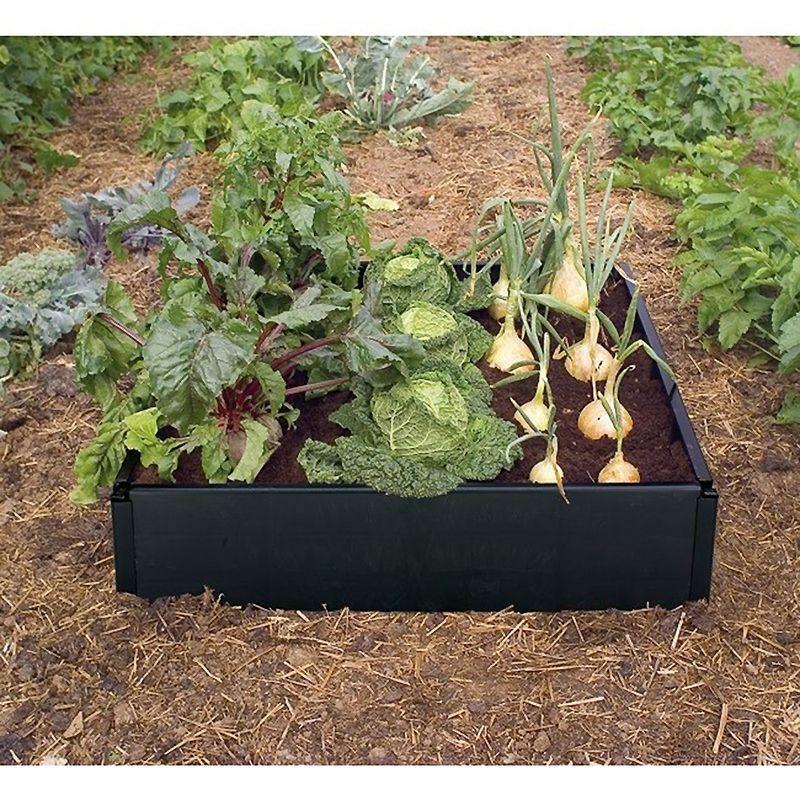 Please note: Multiple raised beds can be attached together to make larger beds or stacked on top of each other to increase the height. The raised beds were securely packaged and arrived when they were expected. 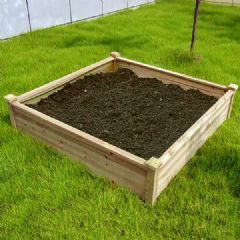 I assembled the four raised beds very quickly and easily and started to fill them with good soil the day after they arrived. They are already planted with vegetable seeds. I like the fact that they are 9 inches high - far less bending. I will cover them with fleece over hoops which will protect the crops. The black plastic of the frames will help to warm the soil. Good product, does the job perfectly. Good price too. 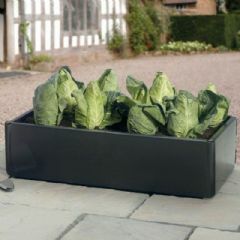 Have bought these in the past and they last really well, so wished to expand my veg plot with some further beds. Very practical and simple to erect. Good and strong, easy to assemble.  Product arrived as specified. 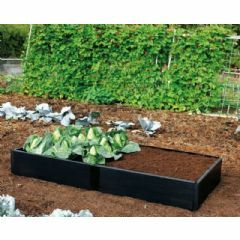 I had the raised bed assembled and filled and growing spinach and brassicas within a week. Excellent. Very satisfied with this product. Prompt delivery. I would recommend it to others. There is zero DIY involved in assembling these beds. I have chickens and the covers (purchased as extras) protect the plants. My only niggle is that they are not particularly visually appealing. Maybe it depends how you site them. Delivery was excellent. The box was well packed and instructions for assembly were clear. We helped the pins go easily through their holdings by applying a little Vaseline. We are very pleased with the box and will probably buy at least one more.